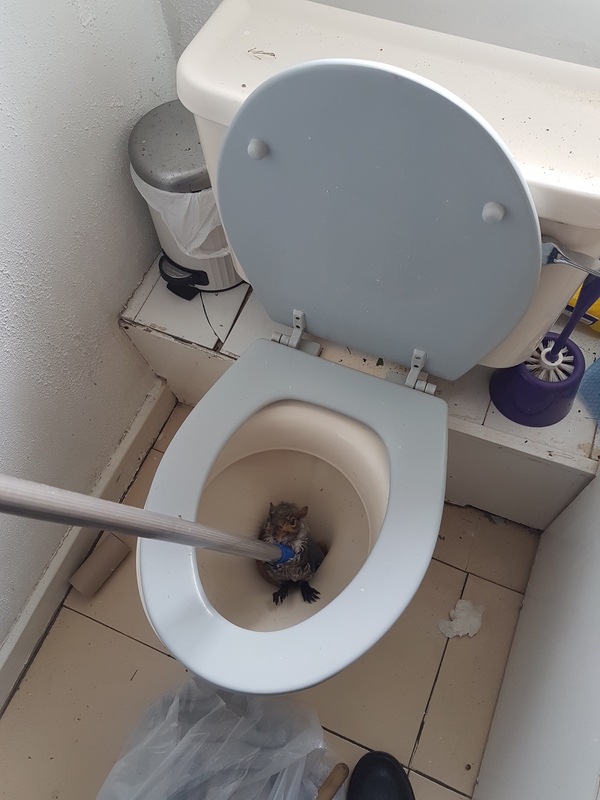 This is the moment a squirrel was rescued from a toilet by gripping on to a mop handle. The rodent had somehow become stuck in the loo at a student houseshare in London. The students called the RSPCA to rescue the animal. Animal collection officer Kirstie Gillard used a mop handle to give the animal something to grab on to and was then able to lift him to safety. He was dried and cleaned and released back into the wild. 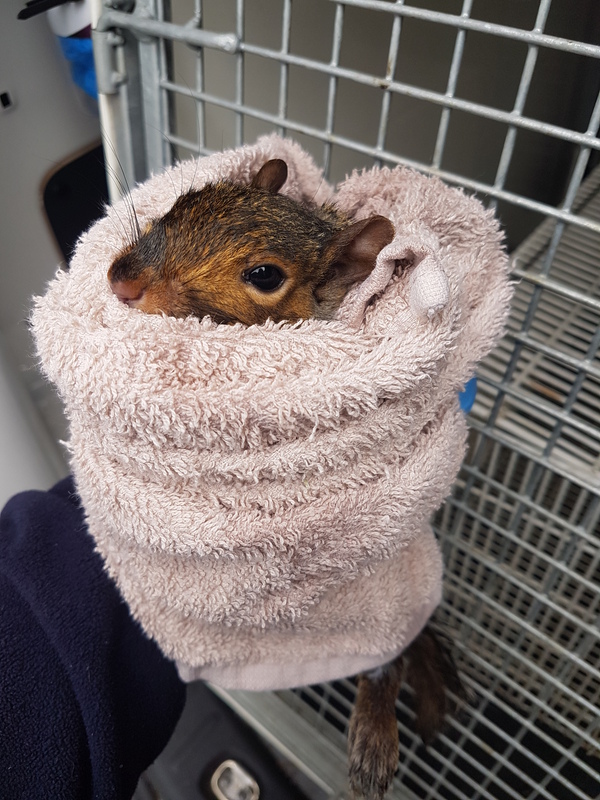 “Fortunately the squirrel wasn’t injured at all and I could release him back into the wild where he belongs,” Gillard said. 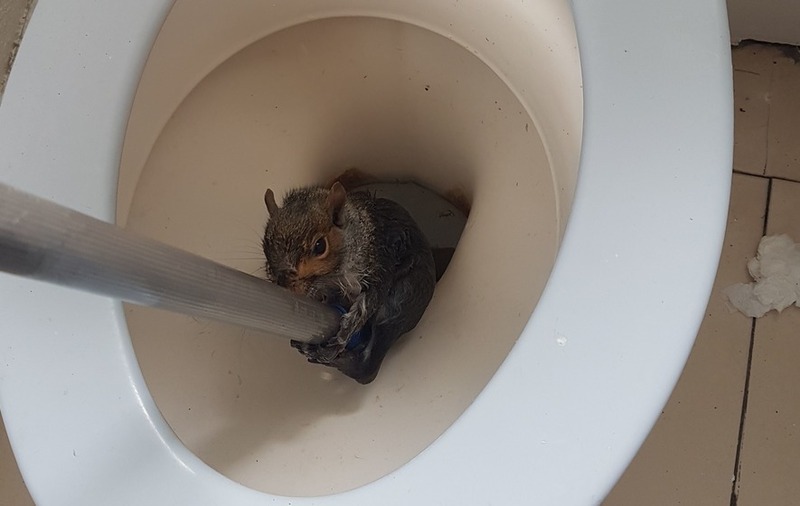 As for how the squirrel had ended up trapped in a student loo in Southwark? “I think he must have come into this house through the roof and slipped into the toilet,” Gillard suggested.